Charles B “Chuck” Pitz passed away peacefully March 29, 2019 at the Health Center in Kalispell at the age of 90. Chuck was born March 1, 1929 in Rapid City, South Dakota to Marcellus and Leona (Thomas) Pitz. He and his older brother Mark grew up in Rapid City. He worked for the US Forest Service in fiscal control for many years in Custer, South Dakota and Gunnison, Colorado and Denver, Colorado. After leaving the Forest Service, Chuck became an antique dealer in Colorado for several years. Then he took a job as the business manager for Sacred Heart of Jesus Catholic Parish in Boulder, Colorado. It was at that job that he met a second grade teacher, Caroline. The two were married in 1977 and were blessed with two sons, Nicholas and Nathan. Chuck was also blessed with a daughter Lisa and a son Dusty from a previous marriage. The family relocated to Bigfork, MT in 1983. Upon coming to Bigfork Chuck worked various jobs around the Flathead Valley; he worked for his sister in-law and her husband at the Bigfork Inn, The Osprey Nest Antiques, the Kalispell Antiques Market, Electric Avenue Gifts and he spent many summers selling cherries for Clarice and Bill Bush’s Jubilee Orchard. Chuck was a long time member of St. Catherine’s and St. John Paul II Catholic Churches in Bigfork. 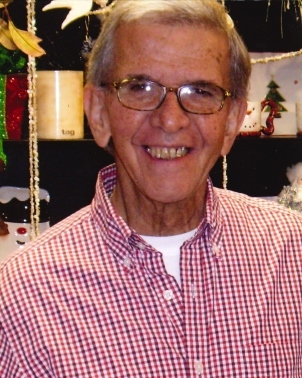 Chuck finally retired in 2012 as dementia began to make its way into his days; He is preceded in death by his parents Marcellus and Leona and his brother Mark. He is survived by his wife of 41 years Caroline, his 3 sons; Nicholas, his wife Brandye and granddaughters Shaye and Mya, son Nathan, his wife Paige and grandson Rawly, son Dustin and his wife Barb, and his daughter Lisa and grandchildren Nicole and Noah. A Mass of Christian burial will be held at 10:00 Thursday April 4, 2019 at St. John Paul II Catholic Church in Bigfork, MT. In lieu of flowers please make a donation to a charity of your choice.